Cause: Suicide – Albury – where he was stationed with Fire Brigades. Dress request: Hawaiian shirt & thongs or Safari Suit from the 1980’s. FURTHER INFORMATION IS NEEDED ON THIS MAN / INCIDENT. **** NOTE: This is NOT Sean Scanlon who was attached to Liverpool area. 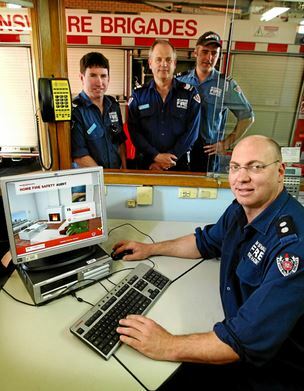 Shaun SCANLON left the New South Wales Police Force around 2005 and joined the New South Wales Fire Brigades – being stationed at Albury. Passed away on 6 January 2015. Cherished son of Lesley and Des. 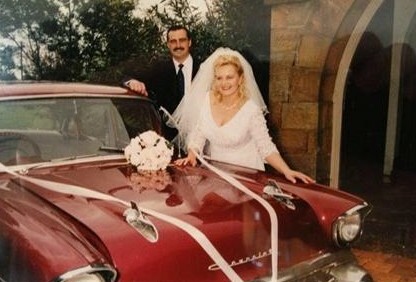 Loved husband of Michelle and father of Hannah, Kurt, Connor. Beloved brother and brother-in-law of Natalie, Tracy, Ross, Peter and special Uncle to Chris, Gemma, Sam, Ben, Nick, Lisa, Grace. Missed so much. One day we will understand. 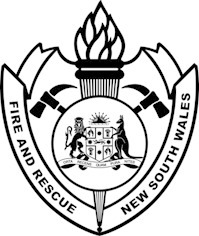 Fire & Rescue NSW notes with regret, the passing of Senior Firefighter Shaun Scanlon (8791) of Liverpool and Albury Fire Stations on 6th January, 2015. The Commissioner wishes to place on record his appreciation of the dedication to duty exhibited by Senior Firefighter Scanlon during his years of service to the people of NSW. SCANLON, Shaun. – Fire & Rescue NSW notes with regret the passing of Senior Firefighter Shaun Scanlon (8791) of Albury Central Fire Station on January 6, 2015. The Commissioner wishes to place on record his appreciation of the dedication to duty exhibited by Senior Firefighter Scanlon during his years of service to the people of NSW. Greg Mullins, Commissioner. Passing of Shaun Scanlon – Albury Juniors. SIRU Junior Rugby advises all clubs and players of the sudden passing of Shaun Scanlon from the Albury Junior Rugby Club. Shaun has been a coach and an active member of the Albury Junior Rugby Club and was the assistant coach of the SIRU Juniors under 13 side in 2014. On behalf of the SIRU Seniors and Juniors Clubs we offer our deepest sympathy to Shaun’s family and the Albury Junior Rugby Club. We knew Shaun when he was stationed in Talbingo. Our deepest sympathies to the family. Our deepest sympathy to Michelle, Hannah, Kurt and Conner at the passing of your husband and father. My heart is breaking, it is so hard to believe we are never going to see that checky smile again, your parents raised a beautiful man who had a beautiful soul – I am sure you will be watching from heaven – just don’t give those ‘All Blacks’ all the wins give us Aussies a win once in a while. Till we meet again – earth is a little bit darker place at the moment but the stars are ever so bright with you up there – God wrap your arms around my friend and protect him. My deepest sorrow to the family Shaun will be forever missed. May the light that burns within you Scano, keep burning far beyond your short time on this earth. Rest in peace big fella. 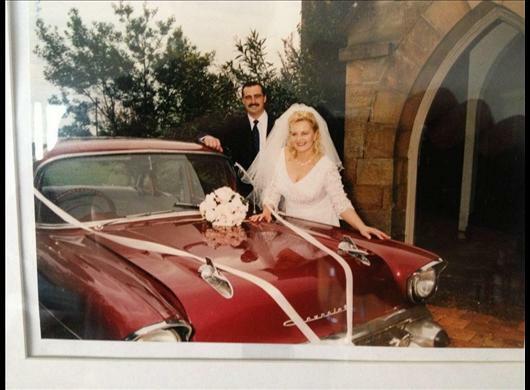 Shaun, our years of working together in the police at Campbelltown will never be forgotten. You were a great fella who was always up for a good laugh, hard work and backing up your colleagues. Both Paul and I cannot believe the devastating loss of you and what your family must be going through…many communities across NSW have certainly lost out since your passing, as we have not only lost a dedicated and devoted former NSW police officer but also a NSW Fire Brigade member. You were selfless in your devotion to serving many communities and keeping us all safe… Scano, your absence will be felt by many, especially the residents of Albury…our hearts go out to Michelle, Hannah and Connor. Our deepest sorrow is extended to all the Scanlon family but especially to our mate Kurt. Nothing we can say will ease your pain but remember that we are all here to help in any way we can. Shaun, mate thank you for the Rugby, beers your friendship and the guidance you gave Jarryd and all the other Juniors. I know the lounge in heaven will be comfortable, the fridge full of fine ale and TV tuned to Rugby. To Michelle, Hannah, Kurt and Connor please accept our deepest sympathy and condolences. All our Love and thoughts Terry , Vera, Ashleigh and Jarryd. RIP Shaun, in gods care. Our thoughts and prayers are with you Michelle, Hannah, Kurt and Connor. Shaun brought a smile to the faces of so many. He was a dedicated and respected police officer, but more importantly, a genuine, caring and lovable bloke. Dubbed ‘High tower’ by many Cootamundra locals during his OSG duties, you will be sorely missed mate. On behalf of all those who were lucky enough to have worked by your side – you will not be forgotten. A genuine Mate that will be sadly missed. Our thoughts are with you and your family Michelle. Shaun was a man of conviction and integrity. I first met him working at FDC over 18 years ago and he was a person you would never forget. To his family I offer my deepest condolences. RIP Shaun – miss you my beautiful friend. I’m not sure what to say, just can not believe it, you will be so sadly missed, one of the most generous blokes I know. I will miss the jokes, the beers, but most of all I will miss you as a person, the change of shift will never be the same, my heart goes out to Michelle and your great kids, I’m sure they will make you proud. Thanks for the memories. RIP Shaun Scanlon. A man of integrity. The greatest tribute to the lose of my friend is not grief but gratitude . Thank you for being a great mate and an exceptional colleague. Michelle the station doors will always be open for you and your family. All our love Brett and family. Shaun will be sorely missed as a friend and collegue of anyone that worked with him at Fire and Rescue NSW. Hey mate – Life at the station will never be the same! You were a colleague, an inspiration but most importantly my friend. Words cannot say how much you will be missed. Michelle you will always be a part of our special family please call on us for anything. Our love to you, the children and all of Shaun’s family. To my Darling Daddy, love you so much, my life will never be the same. My heart goes out to you at this time and in the days ahead. We will truly miss you Shaun, such a like minded friend and one of a kind. Our thoughts are with all of your family now and always. Long live fine music, great times and safari suits. My darling ‘little’ brother. I will always love you and miss you heaps!! You are always with us. Beloved nephew of Michael & Sheila Clark, Cousin of Kathleen & Collin, John & Julie, Heather & Robert and their families. Rest in peace Shaun. Brigade members attending may attend in uniform and form a Guard of Honour should one be required.